Our 6 ft. 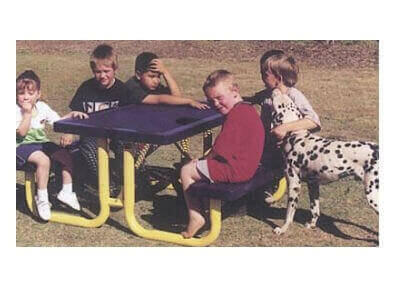 Heavy-Duty Thermoplastic Coated Expanded Kids Picnic Table will bring a durable and low-maintenance solution to any daycare, school or child-friendly business. 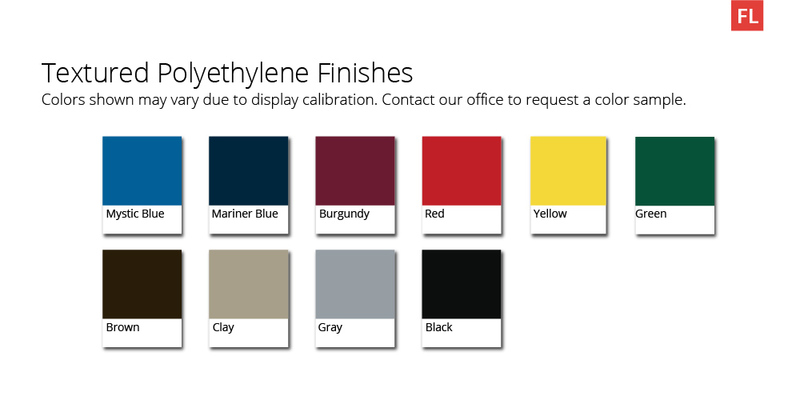 This table uses a commercial grade 2" powder-coated galvanized steel frame which will allow for extensive use over a longer period of time. 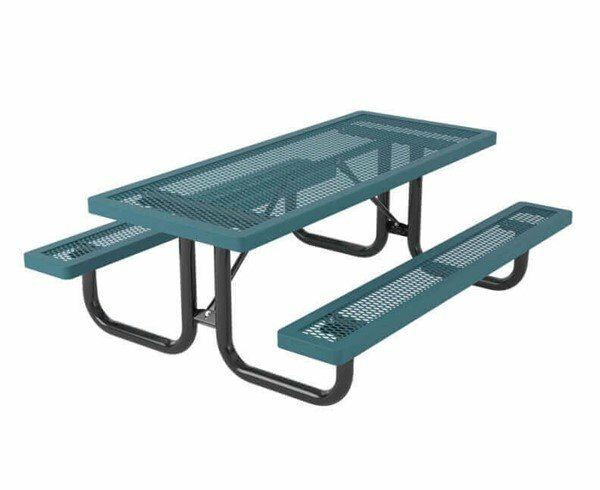 The tabletop and seats are constructed from 3/4" #9 gauge expanded the metal and are coated in a tough thermoplastic providing resistance against effects such as fading, rusting and chipping. 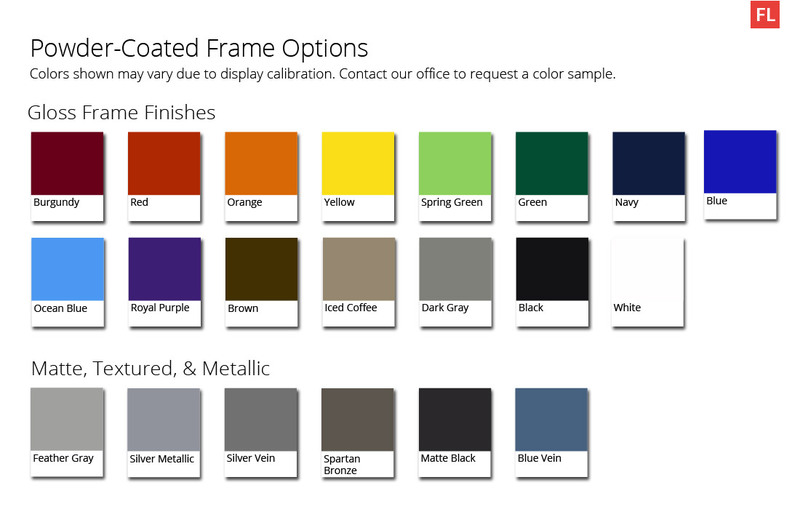 Choose from a large selection of color options for the tabletop/seat and frame that best envision your theme and setting. This bench comes with a 5-year commercial warranty and is made in the USA. Perforated Style Buddy Bench with Back - 6 or 8 ft.